Amaretto wanted to celebrate the Chinese New Year and the Year of the Dog which only comes around every 12 years! From Jan 20, 2018 until Feb 2, 2018 you could pick up your 2018 Chinese New Year Edition - Year of the Dog at any Amaretto location! 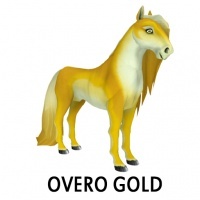 Hiding inside the 2018 Chinese New Year Edition - Year of the Dog was the Overo Gold! 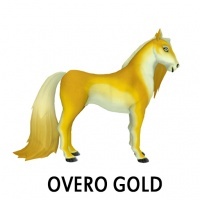 The Overo Gold DOES have the ability to pass!